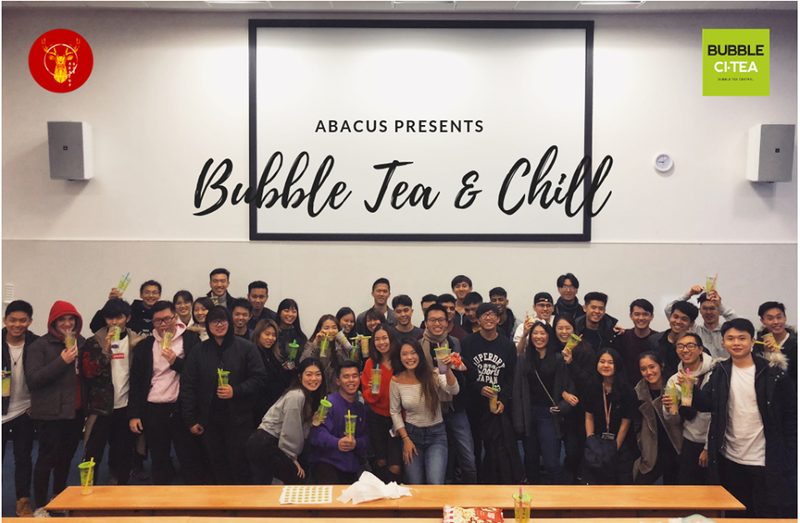 Last week I went to one of Abacus’ all-time bubble tea and movie nights! It’s always been Abacus’ ritual to do one around this time of year to make sure we’re not too hung up on mid terms and actually get some chill time with some friends! 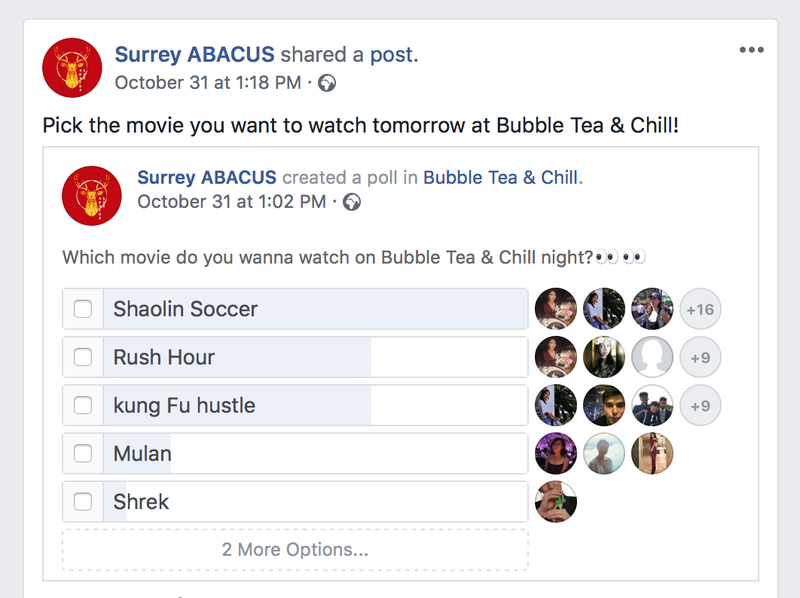 We had the option to select whichever old school movie we wanted to watch via a poll on facebook! totally democratic! Check out this banner they made! And of course! A group photo! That wasn’t it! 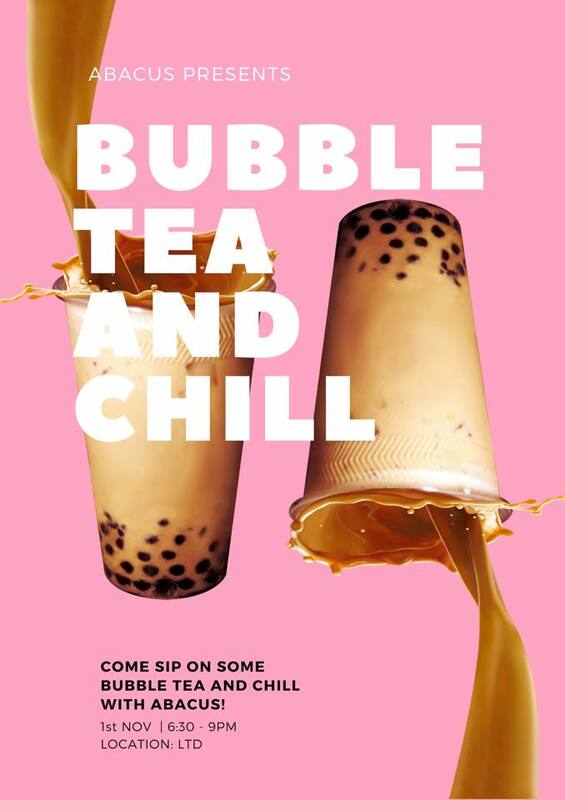 We also got stickers for 30% off bubble tea in town! 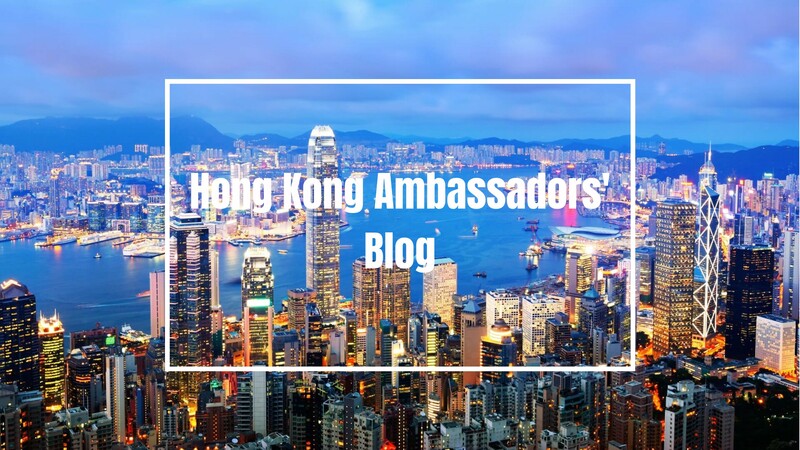 Thanks to the sponsors! It was such a great night and I met loads of new friends! What’s better to spend a Thursday night than with boba! Cause who doesn’t love bubble tea am I right!